And so begins the latest chapter in the wearable technology saga. 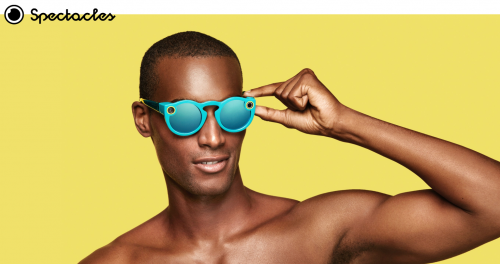 Messaging app giant, Snapchat, has branched into the gadget market with the launch of its very first piece of novelty tech, known as ‘Spectacles’ – a pair of sunglasses with a built-in video camera. Not only this, but they’re also changing their name from Snapchat to Snap, inc. This makes sense, as they’re clearly keen to move away from being known simply for their ephemeral app messaging service and its little white ghost. Spectacles can record up to 30 seconds of video at a time, and with an impressive 115-degree field of vision too. This human-perspective footage is then wirelessly sent to the app ready to be viewed again and shared with friends. Evan Spiegel, creator of Snap, describes the technology as something to be worn “for kicks” and the closest thing to being able to re-experience your best memories. It’s just a shame Snap have launched a sunglasses-style product as the gloomy days and long winter nights are about to set in, and sunglasses are the last accessory people will be reaching for. Inevitably, this new release is going to be reminding a lot of people about the gigantic techie flop that was Google Glass. Though this attempt at creating ‘Smart Glasses’ was picked up by developers all over the world, the tech never came anywhere near hitting consumer retail. When you consider the whopping $1,500 price tag, the security concerns and the fact that the wearer was made to look rather silly, the fate of Google Glass was hardly surprising. However, Snapchat has not ignored what recent history has taught us. With a much more reasonable $130 (just under £100) price tag and, let’s face it, a much less dorky design, Snap’s Spectacles are already viewed by the industry as much more likely to take off on the consumer market. Tech analysts have noted the design takes strong influence from they styles of sunglasses worn by millennials, making them much more appealing as an accessory. The choice of a sunglasses design rather than a standard glasses design also helps make the camera itself much less obvious, though a red light does illuminate so other people know when it is recording. There is some disagreement among the tech industry as to whether Spectacles will simply remain a toy and fun fashion accessory, which is what Spiegel describes them as, or whether the introduction of this new wave of wearable tech might pave the way for completely new lines of business in augmented and virtual reality. This new product, with a battery that lasts an entire day, is also expected to put pressure on the likes of GoPro, whose mini cameras are considerably more expensive than Spectacles will be. With the added freedom from wires, handheld devices and selfie sticks Spectacles provide, perhaps this is a version of wearable tech that will actually go somewhere in the near future. For now, though, it’s a chance for Snap’s enormous young fan base (and, no doubt, a great many celebrities) to experiment and play with a new piece of novelty tech while looking considerably more stylish than any Google Glass wearer ever could. Get ready for lots of Spectacles selfies on your social feeds, folks. This week marks EBay’s 21st birthday, a huge feat for an organisations whose first sale was a Scorpions CD back in 1995. But, a lot has changed in the last 21 years not only on the marketplace but also in UK consumers’ purchasing behaviour. It’s not just TV influencing our purchasing behaviour but also what we’re talking about on social media. Mary Berry’s floral jacket caused a storm on Twitter leading the jacket to sell out in a mere six days. Not to discount the outrage viewers felt when Bake Off’s KitchenAid mixer was replaced by the cheaper Kenwood KMix. It’s not just Bake Off that has Brits in a purchasing spin, 2016 has been donned the Summer of Sport and we can hardly disagree with British success in Wimbledon, The Olympics and The Paralympics. The regular appearance of athletes on our screens has caused a sharp rise in the number of Rio related sports gear purchases being made across the UK with profit in sporting stores on the rise. Also, Brits were keen to grab a pair of light-up shoes featured in the Rio Olympics closing ceremony with the manufacturing company having an influx of enquires of where and how consumers could buy a pair. What does this mean for PR though? So, what does this mean for PR pros? Well after all it is our job to send people to our clients’ products. At JAM we’re keen to keep up with the latest TV news and in turn see how these can transfer to our clients – but as always relevance is key. However, social media is key to joining the conversation and showing that our clients and us have a genuine interest in popular culture – #WhenIDidALeicester anyone? – This in turn sends more potential customers to our clients’ services. Our verdict: carry on getting involved in your favourite TV shows and if this is inspiring you to get into something new or make a new purchase then who are we to judge? As a woman at work I feel it’s important to support other women to achieve their ambitions because to be frank, sexism is still an issue in 2016. Equally, having female role models that have achieved professional success is just as important to me in a world of instafame and celebridee; that’s why when I came across the Lean In movement recently, I wanted to learn more. Women can create or join an existing ‘Circle’ where they meet regularly to learn and grow together, stepping outside of comfort zones, hence the term ‘leaning in’. The brainchild of Sheryl Sandberg, COO of Facebook and a woman of power, an impressive 85% of members credit their circle with a positive change in their life. The fact that over 29,000 women have signed up tells us that there’s still a long way to go to achieve equality but Sandberg’s controversial view (shared in her 2013 book, Lean In) is that it’s often women’s own lack of self confidence and drive that holds them back in life arguing, “We lower our own expectations of what we can achieve.” I personally think that part of the problem can be attributed to women being referred to as bossy, while men are instead labelled leaders and decisive. Whether you agree with Sandberg’s statement or not it’s a point worth considering and asking if it’s true of you. If it is, maybe it’s time to join a Circle and get the confidence to speak up? The female Jammers certainly aren’t backwards in coming forwards, and we most definitely encourage each other and celebrate success and that should be the norm everywhere. When you’re going for a promotion, pay rise or want to make sure your voice is heard in discussion, just remember Beyonce’s wise words “I’m not bossy. I’m the boss”. Public Relations gained itself a reputation over the years of being a world of glitz and glamour. Many imagine the job entails schmoozey lunches, Prosecco at 5pm, and regularly attending fabulous events for clients. While (on occasion) that may be true, the real role of a PR executive is not for the faint hearted. Earlier this year, job search site, CareerCast evaluated 200 professions and ranked PR as number six on the list of most stressful job roles, due to the pressure of client demands, tight deadlines and fear of public scrutiny. Despite the huge pride and satisfaction of delivering a great PR campaign, the Jammers understand that agency life can sometimes feel like a game of spinning plates, and that it’s important to know how to de-stress in order to keep on top of priorities and keep a healthy work / life balance. Planning is extremely important in PR, and lack of planning and understanding of the needs of certain publications or reporters and especially your clients can turn a straightforward task into an emergency. The best way to save yourself the stress of sudden deadlines is to communicate with your clients constantly and make sure everyone is on the same page with activity for the upcoming months. It’s also important to create a calendar of your key media’s deadlines and upcoming topics so that you can plan client activity around what they are going to want to write about. Set daily, weekly or monthly to do lists – or all three if you’re feeling organised, and make sure you put tasks in order of importance. Setting out reasonable expectations of your workload and setting yourself achievable goals is a great way to manage your time and remain in control. As well as making sure the most important actions aren’t left until the last minute. We use Basecamp to help us prioritise our clients’ deadlines and workload, it’s a great system for the whole team for communicating updates and keeping on top of actions. Never ending to do lists and staring at your computer screen for hours of the day can make anyone feel overwhelmed. When you start to feel stressed, the best thing you can do is take a five-minute break. Walking away from your desk, even if it’s to make a brew, can help you regain focus and clarity, so that you are able to deliver the highest quality of work. Meditation is also a great way to take a break and reduce anxiety. There are some great classes near JAM Towers in Manchester’s Buddhist Centre in the Northern Quarter, if you need a place to go and chill out! Whether it’s a small piece of coverage or a new client win, celebrating with your colleagues is a great way to alleviate stress. You’re part of a team and you’re all working hard to achieve great things for clients. Taking time to praise achievements will instantly remind you what first attracted you to the world of PR, and make any stressful situations worth it. We launched Employee Motivation Day as a campaign for our client, Argos for Business, to inspire motivation in the UK’s workforce – visit their Facebook page to find more top tips on how to de-stress and keep motivated. “Nothing in this world can be said to be certain, except death and taxes”, according to deceased US President Benjamin Franklin, that is. 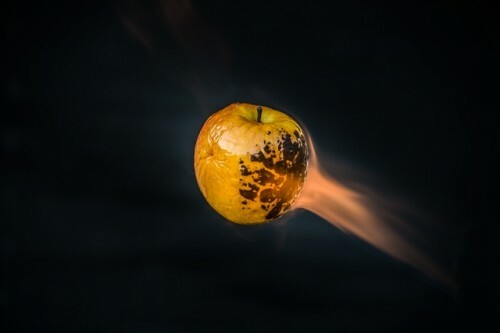 A landmark ruling by the European commission following its three-year investigation has found that bigger taxes should become a certainty for Apple, after its tax agreement with the Republic of Ireland meant that the multinational technology company was paying as little as 0.005% corporation tax on its European profits; the Commission ruled these tax benefits to be illegal. To put this into context, the standard rate of corporation tax for business in Ireland is a much higher 12.5%. For many it’s old news that large corporations successfully take advantage of loopholes in tax laws to reduce tax rates, it seems that those in power are slowly waking up to the sense of injustice felt by the man on the street at one rule for one, one rule for another. The European Commission ordered Luxembourg to recoup around €30 million from Fiat and the Netherlands to recoup around the same figure from Starbucks. And with Apple reporting a whopping $53 billion in net profits in 2015, it’s hard to feel sympathy for the tech giant and its proposed €13 billion bill. This hasn’t stopped Apple coming out to say it disagrees with the decision and will be appealing, citing the negative impact on jobs and economy if the order was enforced. At present, the Irish government is split over whether to immediately appeal against the ruling; a decision is expected to be announced early next week. This week is probably one of the more testing ones for Apple chief exec, Tim Cook, the outcome of the ruling will be watched with close eyes by politicians, investors and consumers alike and ultimately tell us who runs the world: elected officials or giant corporations. I think I know the answer already.